Rising Bulldogs prop Sam Kasiano caps his transformation from NYC teen to NRL star this weekend when he dons the Bulldogs’ No. 10 jersey against the Tigers at ANZ Stadium.Kasiano already has plenty of headlines this year for his outstanding form in the club’s pre-season trials – and it was made obvious why yesterday when he was named ahead of Bulldogs stars Michael Hodgson, Chris Armit and Mickey Paea. He will be joined in the Bulldogs forward pack by second-rower Jake Forster, who stunningly beat prized signing Frank Pritchard for a start. Pritchard, Kasiano, Aiden Tolman, Kris Keating and Trent Hodkinson will all make their debuts for the club. The Eels five-eighth Daniel Mortimer has been ruled out of tonights clash verse the Tigers because of a virus. Mortimer was spotted at the club’s Parramatta headquarters earlier today and will be replaced in the starting side by interchange utility Kris Keating. 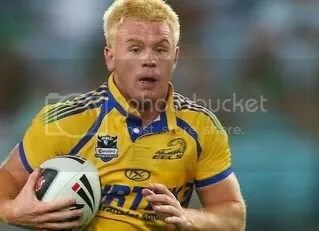 Parramatta coach Daniel Anderson will name another bench replacement one hour before kickoff. Tigers coach Tim Sheens is expected to trim Daniel Fitzhenry and Junior Moors from his six-man interchange bench. Can you reinvent the Eel ? 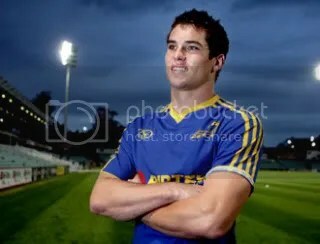 Parramatta Eel Kris Keating broke his jaw in Rd 10 last year, at that time he was the starting halfback. 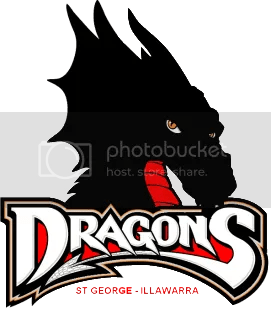 Since then things have changed dramtically under the dynamic new halves combination of Daniel Mortimer and Jeff Robson, from which the Eels made a Grand Finals berth in dramatic fashion. Now he’s back, 100% fit and wants to reclaim his spot. 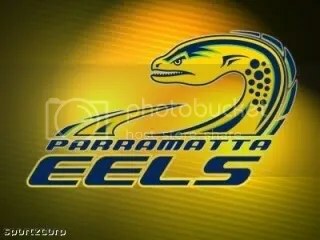 Even though Coach Anderson has made it clear that the Mortimer/Robson combination will remain unchanged for the start of the season, Keating and a few of the other youngsters at the Eels are definitely still in the mix. “He just said I’d get a chance in trials before the season and I know I have to really impress by just being consistent and improving little things. He’s let me get back into it in my own time. It’s going to be really tough but I just have to keep training hard and doing everything I can to show Daniel I’m ready.” Kris Keating is priced at $190,300 (?) in the halves at DT HQ.